You choose with whom you want to share your relations and how much other will see. Open the relations list. 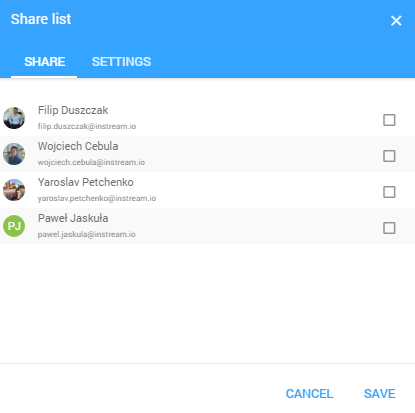 Next, click on the “three dots” icon in the top right corner and choose the “share” option. Notice: The person with whom you share the relation list will not see any relation on this list until you share it with him/ her. Additionally, as an admin of this list, you can see all relations created by this person.